Between heaviness and lightness. Between matter and spirit. Between the ephemeral and eternity. Between heights and depths. Between sadness and joy. Between tears and laughter. Between blunder and bliss. Vortex. The spiral path. A portal. Up? Down? You decide. In this moment. Now! 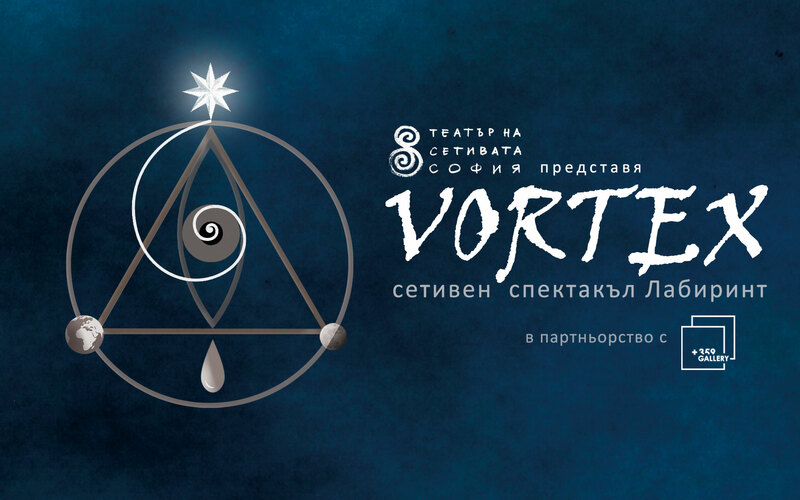 More than a year after “CREATORIUM – a labyrinth within a labyrinth”, which took place in 2016 in co-production with the National Palace of Culture, the Sensory Theatre Sofia presents “VORTEX” – the newest and long awaited sensory labyrinth theatre performance. “VORTEX” is a show in which the audience more than ever becomes an integral element of what is happening and leaving their usual identity behind, everybody falls into a state of UNCERTAINTY. Precisely this ambiguity is in the essence of the Vortex. It is possible that when you go up, you actually go down, or vice versa … either way, you will go into a whirlpool of emotions, intuitions, sudden thoughts and insights, sensory perceptions and longings, which give you the opportunity to jump into an area of unlimited possibilities, to cross and awaken beyond the boundaries of the usual and familiar existence. VORTEX is an interactive site-specific sensory labyrinth theatre performance. A characteristic of this type of theatre is that the audience are not passive viewers, but active creators who personally meet and interact with the artists. The visitors go individually through a specially prepared labyrinth installation, saturated with unusual sensory provocations (auditory, tactile, olfactory, visual and taste). The performance is done in partnership with Gallery +359 (Water Tower) and LAKART Business building. Places are limited to 25 people per performance. The performance is not recommended for people with strong claustrophobia.